The first part of the book is concerned with developing the place perspective. 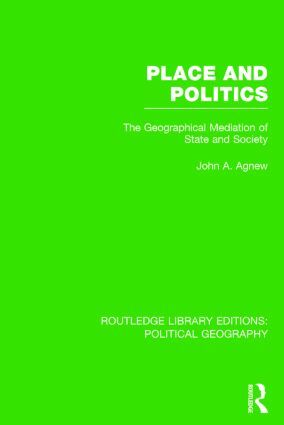 Three dimensions of place are put forward: locale and sense of place describe the objective and subjective dimensions of local social arrangements within which political behaviour is realized; location refers to the impact of the ‘macro-order’, to the fact that a single place is one among many and that the social life of a place is embedded in theworkings of the state and the world economy. The second part of the book provides detailed examinations of American and Scottish politics, using the place perspective. Contrary to the view that place or locality is important only in ‘traditional societies’, this book argues that place is of continuing significance in even the most ‘advanced’ societies.